I am writing this as the sky darkens, birds fall silent and it looks like night time here in the Blackstairs. March 20th, the morning of the partial solar eclipse. It does look peculiar out there! However despite the darkness we are kicking off our Spring season with lots of events here at our Eco Centre. Our first Foraging Workshop of the year takes place on April 12th. It’s a Sunday. Start time 10.30 and we finish at 4 pm. 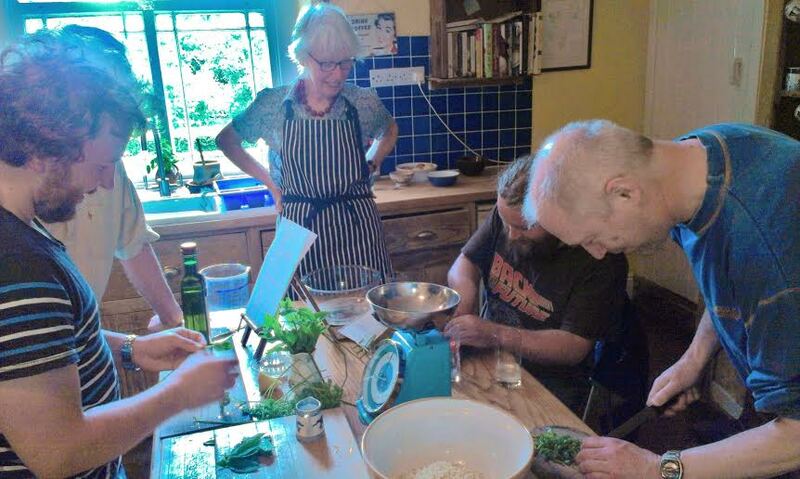 The day includes lots of foraging, cooking up, recipes, tastings and lots more. We will also have a 3 course organic lunch for our guests and time to get an understanding of wild safe food and the thrill of foraging for delicious treats in the countryside. There is no doubt that Spring is here. 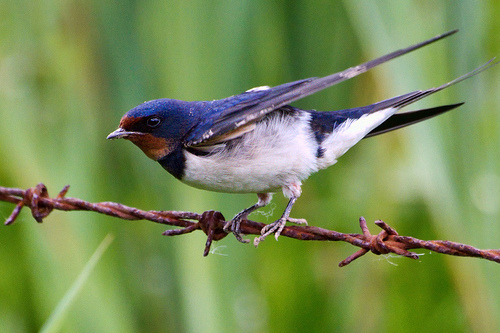 Birds are nesting, lots of new growth pushing up, trees are in bud if not in leaf and the whole glorious awakening of the earth is just around the corner. We follow our Foraging Workshop with our Celtic Tree Trail. Our ancestors loved trees and we will tell you the story of the Ogham Alphabet, the lore, life and folklore of our Celtic Trees. The first trail starts on Sunday April 19th. This is suitable for all the family. We have a full event calendar on our website , just click the Event Calendar button and you can see what we have lined up for you. A quick look around the garden this morning and I saw plenty of wild garlic up, nettles beginning to show ,lovely for a Spring tonic and Nettle Soup and lots of sorrel which is great for salads and rice dishes. 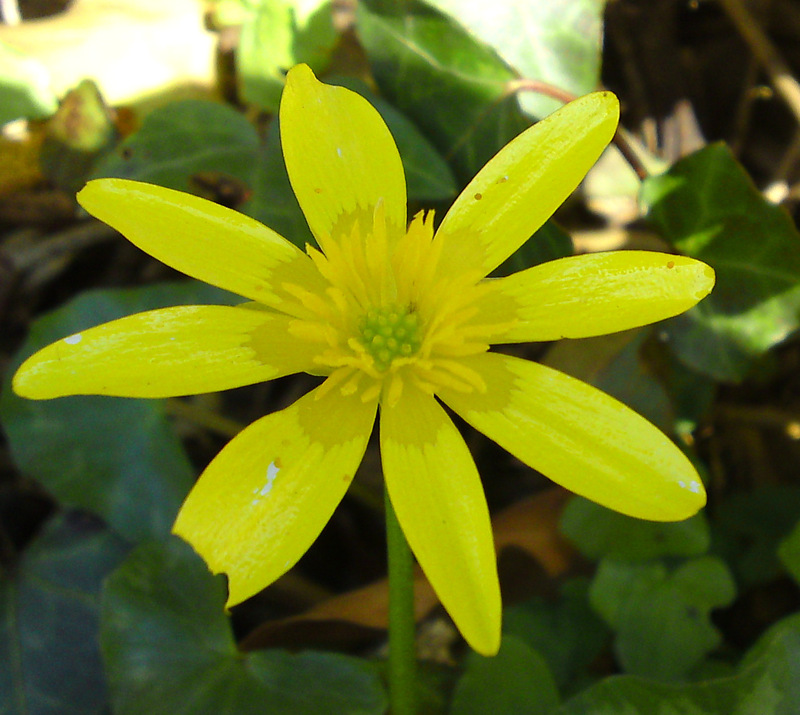 The Celandine with its lovely yellow petals – see photo above – is everywhere now. A Grey Wagtail was drinking from the stream in the Rose Garden and the rooks are building in the Beech trees. There is a lot of activity out there!. We very much look forward to welcoming our guests whether it is for an Eco Trail, Foraging, Wild Mushroom Hunts or Wild Herbal Workshops. It’s a great wild world here in the Blackstairs!